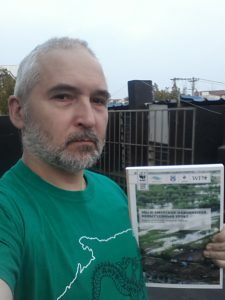 The book We and the Amur Floods: Lessons (Un)Learned? 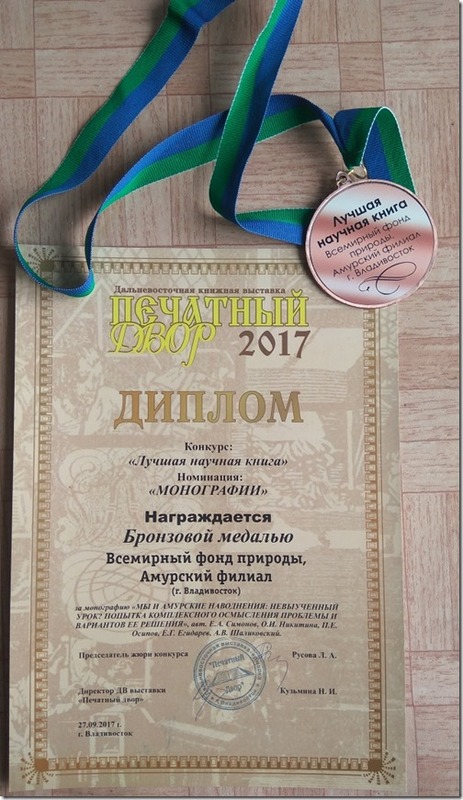 was awarded the bronze medal at the Far-Eastern Book Fair-2017 in the nomination “Scientific Monograph.” The book explores viable options for integrated flood management jointly implemented by Russia and China, following the great flood that took place along the transboundary Amur River in the summer and autumn of 2013. The research and fieldwork on the Amur River and the assessment of its floodplains undertaken from 2013–2015 was supported by APFM Support Base Partner Rivers without Boundaries (RwB) as well as Whitley Fund for Nature, DIPA, the Amur Branch of WWF-Russia, Global Green Grants Fund and others. Report preparation was made possible by the UNECE Convention on the Protection and Use of Transboundary Watercourses and International Lakes, and enhanced by RwB’s participation in the second workshop on transboundary floods management, supported by the UNECE and APFM. 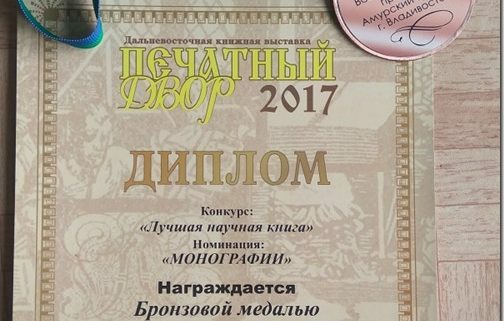 The award was a pleasant surprise for the authors, who were not aware that the book had been submitted to the competition until they won the prize. “Over 300 titles were assessed by the Jury. This is very unusual that a publication done by NGOs wins in competition with production of commercial and scientific publishing houses,” said Eugene Simonov, co-auther and RwB coordinator. “I always expected we have published a good book, now it is certified. This unexpected recognition encourages us to explore ways to republish for wider dissemination and to finalize the English version for sharing the experience with other countries,” Simonov added. To access the book in Russian and a summary written in English, click here. Congratulations to the book’s authors!